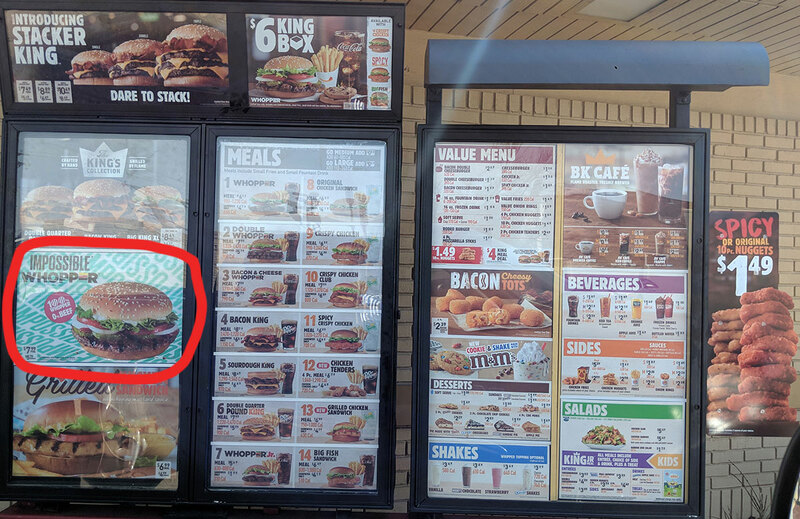 Today, on April 1st, 2019, Burger King introduced the Impossible Whopper to locations in the St. Louis area. This is a product derived from the popular plant-based “burger that bleeds” Impossible Burger. We went out to a local Burger King to see if they have one of these burgers, and sure enough, they do. In fact, it’s posted prominently on their menu board as seen below. On the first glance, this thing looks like a real Whopper. Very similar size, weight, and smell as well. As you can see in the picture above, it has all the same ingredients as regular Whopper. In our test case, we went with no onions and added the slice of cheese. 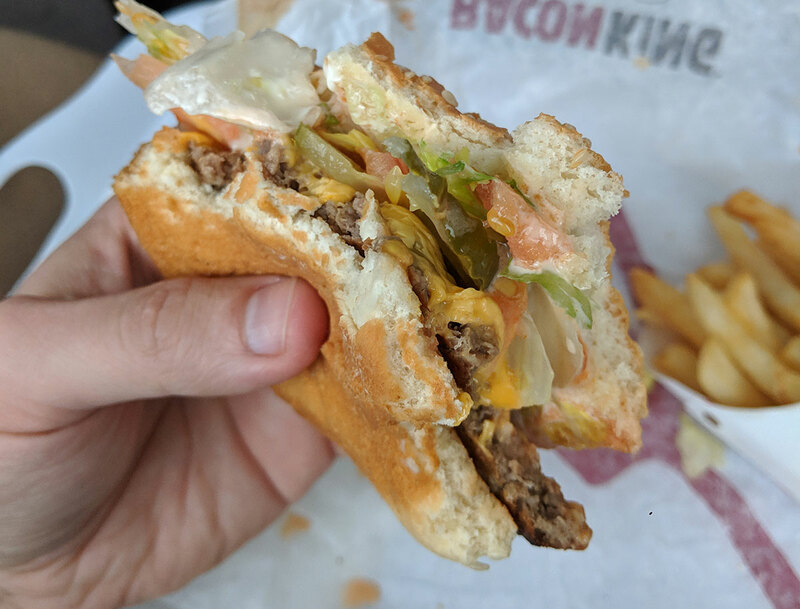 The Impossible Burger patty has a very nice char-grilled look that we are used to at Burger King, so it was nice to see that translate so well to this one as well. WOW. This is truly a home run from Burger King. We would be really surprised if this product doesn’t get nationwide placement soon. This burger tastes exactly like the original Whopper. The version 2 of the Impossible Burger has seen an even greater improvement than before. The word impossible fits so well in the company’s name now. 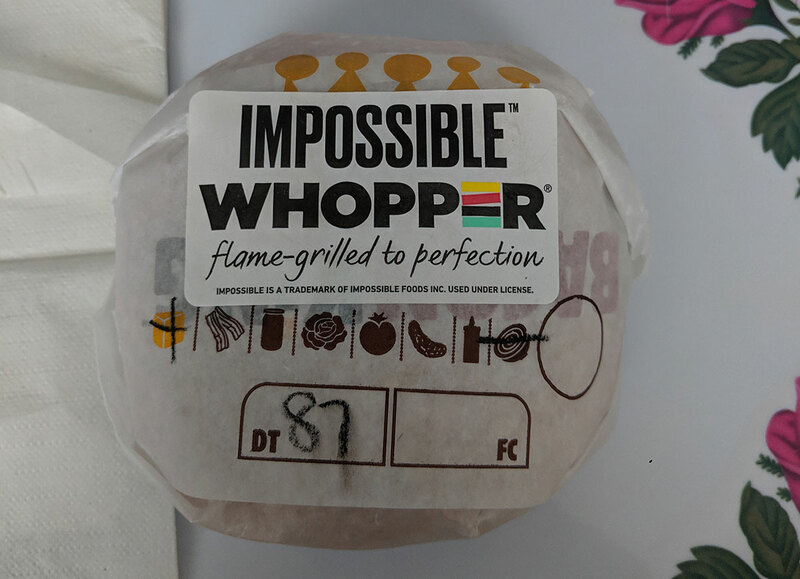 If you gave a random person the Impossible Whopper and asked them to try it, they most likely would not be able to tell that it’s not a beef-patty in there. This is absolutely the best fast food version of the Impossible Burger. Those White Castle Impossible Sliders do not compare at all. 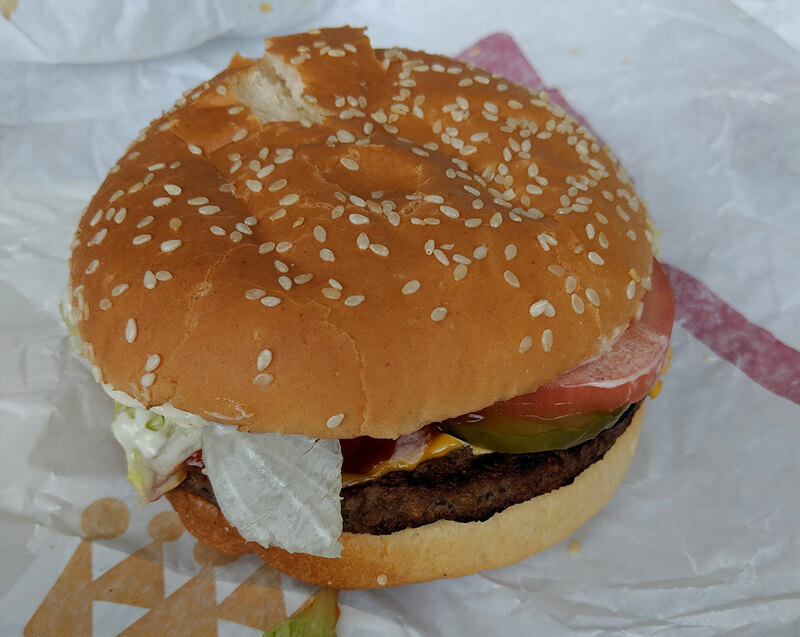 It has the same texture, taste, and smell as the regular Whopper. When you bite into it, it has the same familiar crunch we’re all used to. And when you look at it, there is no mystery ingredients, no crazy colors or anything like that. 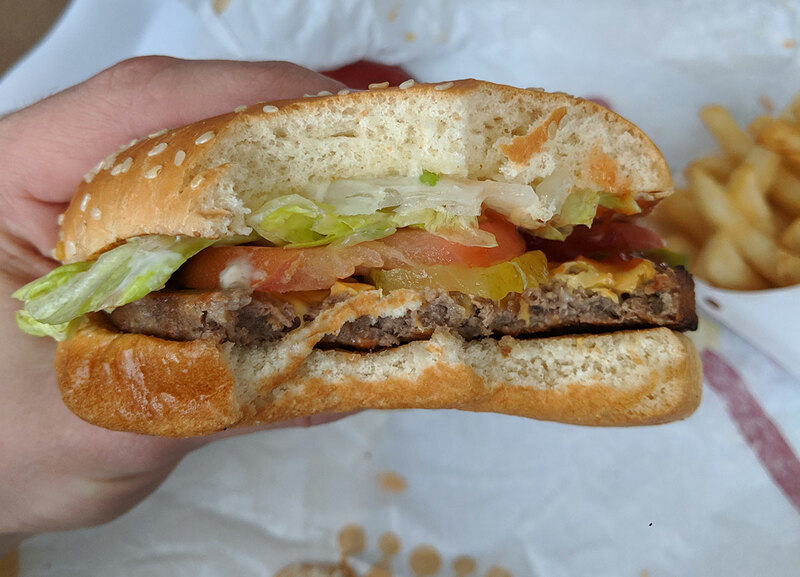 Listen, it doesn’t matter if you’re a vegan, vegetarian or a good-ol’ carnivore, the Impossible Whopper would give your taste buds a rockin’ good ride till the last bite. If you’re used to eating bland veggie burgers, then I triple dog dare you to try this one. You will NOT be disappointed. If you are, then you’d be just as disappointed with a regular Whopper.